Could Bully 2 actually be a thing? I watched Swegta's video and then the Rockstar video. Is the Bully 2 slip up real or what. My hopes are high. Re: Could Bully 2 actually be a thing? Your interpretation of it is as good as most of ours m8. Maybe. Try to check out the channel of the guy who said it, see if he jokes around like that or if it might of been a real slip up. People say in the comments that he likes joking..
Is the Bully 2 slip up real or what. Don't believe ANYTHING unless a statement comes from the devs themselves... and yes, this applies to more than just Rockstar. I feel like Bully might get a port to Xbox one, hopefully remastered but I 100% think it will be ported to Xbox one within the next year, due to the amount of games this is happening too. We might see it on iOS at some point in the next few months too because it's the tenth anniversary and rockstar have a thing for releasing mobile versions of games on the tenth anniversary, usually in December. 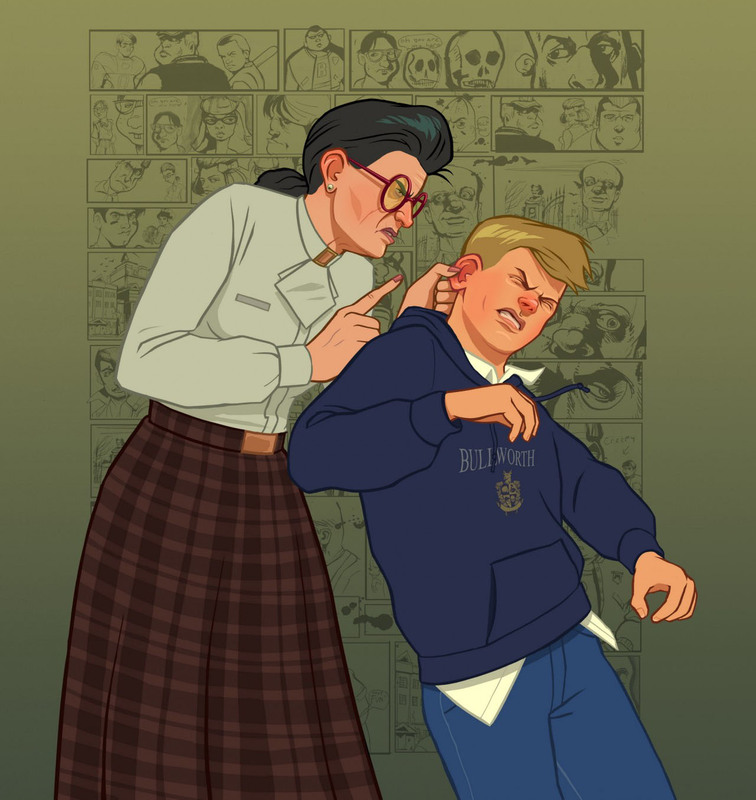 I'd wait till January to write off the possibility of a remastered or mobile version of bully 1. However, I doubt Bully 2 will come out if it's not announced soon(next year) because after ten years, with no news on a sequel, it seems unlikely. because after ten years, with no news on a sequel, it seems unlikely. kid icarus uprising says "hi"
I could ramble off a ton of sequel gaps for both films and games, maybe not quite as large as Icarus, but yes, it is a common thing. Someone could argue that "That's not Rockstar though" but even they're guilty with Max Payne 3 being released 9 years after 2. All I'm saying is that time gaps don't really matter much since I've seen a number of things get sequels 10+ later. I've said it before and I'll say it again, while I'm not and never have been holding my breath for Bully 2, it's something that I can't throw out the window completely because of this (even though let's face it, Rockstar's gonna mainly be focused on their cashcow). I'm pretty sure Jack Patillo was joking around. I had very high hopes for it too until they announced Red Dead Redemption 2 ON the anniversary. I think the Red Dead Redemption 2 announcement on the anniversary really told me that bully 2 is dead too. I doubt they'd be working on sequels for both games at the same time when neither were as successful as gta, and they need to keep hammering out DLC for gta online. Still got my fingers crossed for a mobile version though. I see no reason why they couldn't be working on both. Is it likely? Your guess is as good as mine. But maybe Bully 2 is just too far out from being launch ready to announce this year. Take two did state that Rockstar was working on multiple projects if I remember correctly, although I still think it's important for fans to keep bugging Rockstar about bully 2.